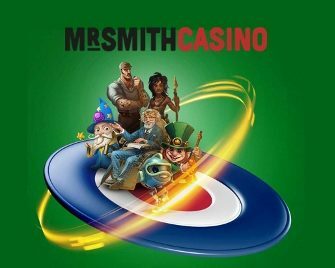 Mr. Smith Casino – Daily Boosts | Week 16! To all our readers from mainland UK, get ready for another rewarding week. 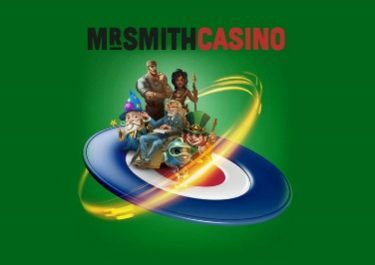 Log into your Mr. Smith account to find out what casino treats have been added to their very own “Daily Boosts” and take your pick from a superb range of offers and rewards. All players can look forward to tournaments with guaranteed winnings, wager rewards, Free Spins on deposit or a Live Casino cashback. Log-in today to start your gaming week with a wager reward when playing Prosperity Palace. Monday, 16th April 2018: Free Spins Wowsa– Make a deposit of minimum £20 and wager a total of £50 | £100 on Prosperity Palace to instantly receive 25 | 50 Free Spins at £0.20 each, on the same game. Total reward is 75 Free Spins per player. WR is 35x FS winnings within seven days. Tuesday, 17th April 2018: Tournament Tuesday – Score the highest coin win on a single spin with a £0.50 cash bet on Rainbow Ryan to place in the TOP3. An in-game leader board is updated in real time. Cash prizes are instantly credited after the tournament: 1st – £200 | 2nd – £150 | 3rd – £100. Wednesday, 18th April 2018: Wicked Wednesday – Deposit minimum £20 to receive a 25% deposit bonus, up to £100. Wagering requirement is 35x bonus within seven days. Thursday, 19th April 2018: Throwback Thursday – Wager minimum £50 on Piggy Riches to instantly receive 25 Free Spins on the same game. WR is 35x FS winnings within seven days. Friday, 20th April 2018: Evening Cash Race – Play actively with minimum £0.50 cash bets on Valley of Gods between 18:00 – 23:59 GMT and score the highest coin win in a single spin to place on the in-game leader board and win cash prizes of up to £100, credited with no wagering requirement after the tournament has ended. Saturday, 21st April 2018: Saturday Cashback – Make a deposit of minimum £20 and play on any Live Blackjack or Live Roulette table between 12:00 – 23:59 GMT to be eligible for a 15% cashback, up to £150, credited in cash by 18:00 GMT on Monday. Sunday, 22nd April 2018: Live Casino Cash Drop – Make a deposit of minimum £20 and play on any Live Blackjack or Live Roulette table and you could win a random cash reward between £5 – £100, credited with no wagering requirements by 18:00 GMT on Monday.